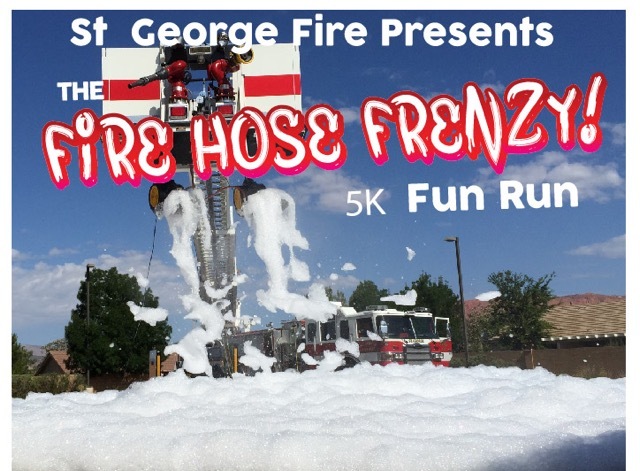 ST. GEORGE – The weather is heating up, and it’s time to get hosed … by a firetruck, that is, as the St. George Fire Department hosts the Fire Hose Frenzy 5K, a fun run featuring fire hoses, foam, music and more. The event will be held June 13 at 7 a.m. at the Ridge Top Complex, 620 S. Airport Road in St. George. 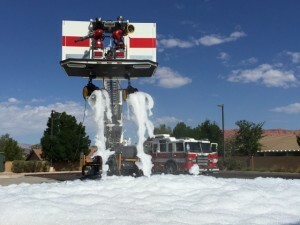 St. George will be the site of the 107th annual Utah State Firemen’s Association Convention, being held June 11-13. Proceeds from the race, which is being held in conjunction with the convention, will benefit the University of Utah Health Care Burn Center – specifically providing sponsorships for burn victims to attend Burn Camp. The University Health Care Burn Camp Program was established in 1993 to help support burn survivors with the personal challenges associated with surviving a burn injury. We currently run five different programs geared toward specific age groups, providing a safe and supportive atmosphere for everyone involved. Each of our programs uses self-esteem building, teamwork, and peer interaction to create a fun environment conducive to healing. Our camps provide the tools needed to not only survive your injury, but to also thrive in your recovery. In past years, the race, which rotates locations with the convention, has been marketed to firefighters and their families, Paul said, adding they would get maybe 60 or so participants. But this year, he said, the department hopes to attract a lot more attendees. It costs about $500 to send one child to camp, Paul said. While Paul said he hopes to have a large turnout for the race, organizers for the event are not a big charity machine. If the fundraising efforts are successful, he said, money left over after sponsoring burn survivors will be earmarked for the Washington County School District to promote burn safety and fire-starting prevention education within local schools. 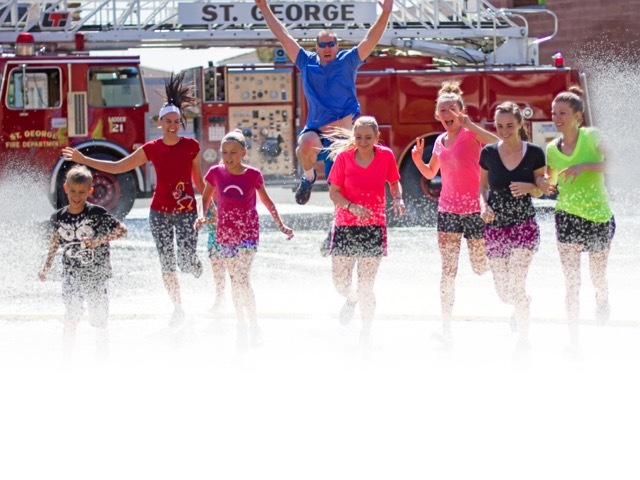 While some 5K races are dedicated solely to competitive runners to see how fast they can cover the 3.1 miles, the Fire Hose Frenzy is all about seeing how much fun racers can have on the course, Paul said. 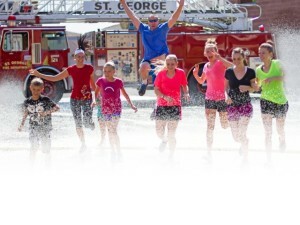 The race will feature fire engines spaced sporadically along the course, spraying down participants. 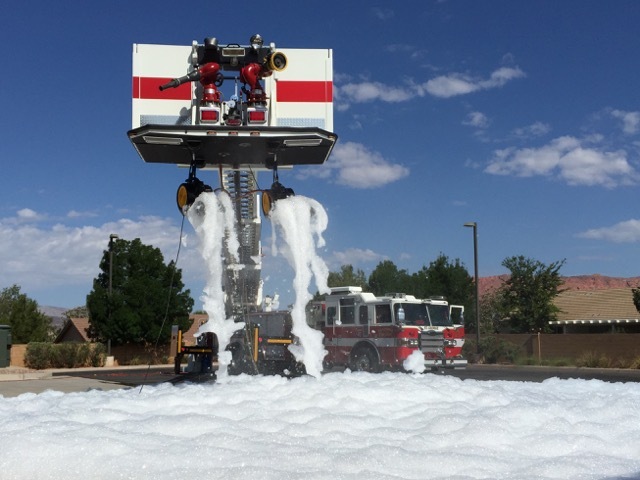 In addition, firefighters will be stationed along the course with their wildland bladder packs, which Paul described as giant super-soakers on their backs, ready to hose down runners. Firefighters attending the convention have been encouraged to participate in the race, Paul said, so participants should be surrounded by the presence of several firemen representing departments from all over the state. 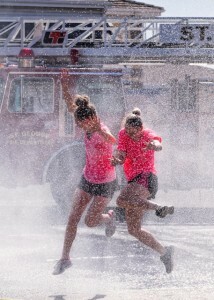 Racers will get even more thrills as they slide across the finish line on a giant slip-and-slide and enter into a party featuring giant foam cannons and disc jockeys playing fun music. Promotional material for the race states the party won’t stop until the last runner goes home. Registration is $20 and includes a race shirt. Racers who sign up a family or group of five runners will receive a sixth entry free. Entrance for children 3 and under is free, and parents have the option of purchasing their child a shirt for $10. When: Saturday, June 13, 7 a.m.